U.S. Patio Systems and Home Remodeling is an authorized TEMO sunroom dealer serving St. Paul, Minnesota. We specialize in building recreational living spaces that allow our customers to enjoy the beauty of Mother Nature throughout the year. By taking advantage of our sunroom installation service, you will be able to enjoy not just extra space, but additional home square footage that lets you take in the great outdoors without fear of being rained on, scorched by the sun, or continually bothered by insects. A TEMO sunroom is a fantastic home addition in any climate, but it’s an especially good one in a place like St. Paul that has particularly long stretches of cold weather. Even in the dead of winter, a temperature-controlled sunroom is a great place to hang out, relax, and just savor the beauty of your surroundings. 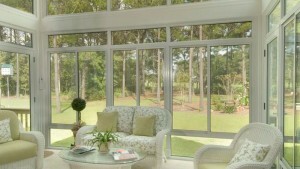 Sunrooms bring the outdoors in without any of the attendant nuisances. A TEMO sunroom of any style can be custom sized in order to accommodate your specific space restrictions. You can choose to create either a cozy, intimate sitting area or a structure that’s large enough to cover a swimming pool! You can also add skylights, ceiling fans, carpeting – anything to enhance the comfort of the space. For more information, contact U.S. Patio Systems and Home Remodeling, an authorized TEMO dealer serving St. Paul, MN.